Lumin advertises the U1 as a “Network Transport” for those audiophiles who already have a DAC with which they are satisfied. 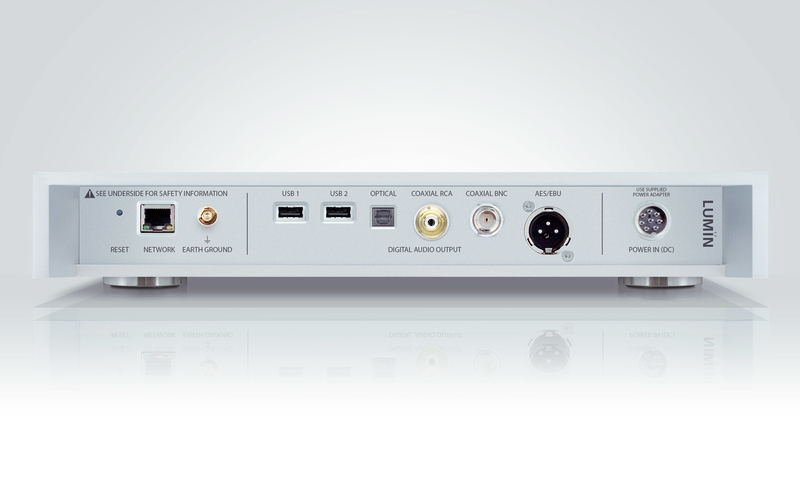 It is compatible with all the major services and formats including PCM from 44.1 KHz sampling rate all the way to 768 KHz and bit depths from 16 to 32-bit and DSD 512 to 22.5. 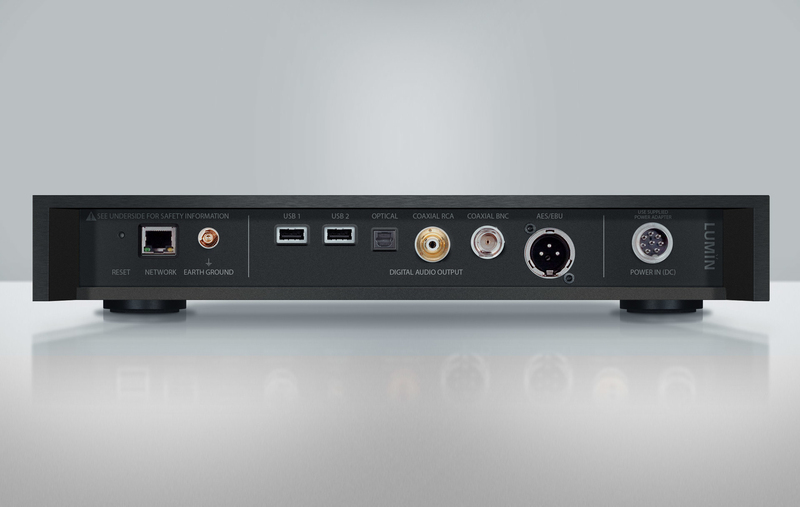 The U1 joins a growing lineup of high-end products from this Chinese-based company that includes a line of full “Network Players” that contain a Network Transport as well as a built-in DAC. Lumin also has a pair of power amplifiers in its “stable” as well as a Music Library Storage solution and a Smart Application which allows the user of the transports and players to completely control them form a tablet or smart phone running either the Apple iOS or Google's Android OS. The U1 comes in two units: The main “Transport” and a separate PSU (Power Supply Unit). Both units are available in either a brushed silver aluminum finish or a black brushed aluminum finish. Our review sample is black. A separate power supply unit is unusual these days and requires an umbilical cord to connect to the main transport unit. 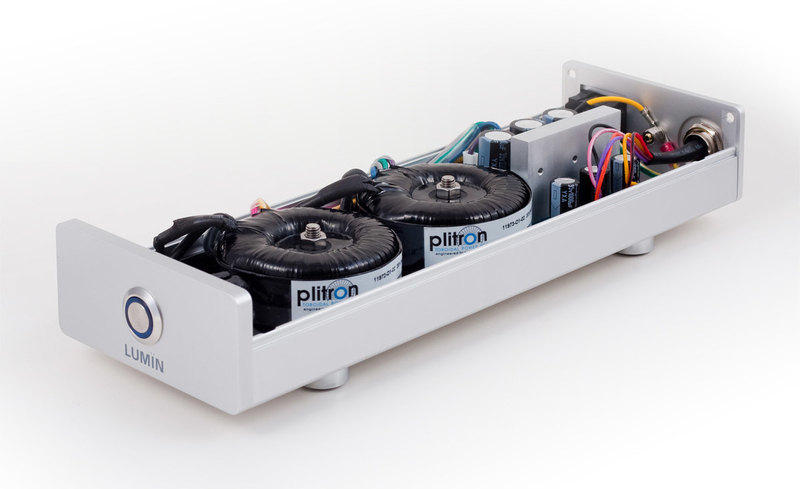 The PSU contains two toroidal power transformers. Lumin believes that separating the power from the signal circuitry results in better audio performance. The PSU measures 100mm (4 inches) W X 315mm (12.4 inches) D X 55mm (2 inches) H and weighs 2 Kg (4.4 pounds). There is but a single button on the front which is illuminated to show that the unit is switched on. The back contains but a round multi-pin connector for the umbilical to the main unit. The main unit or “transport” as Lumin calls it, is characterized as a “monolith-like” enclosure with an elegantly curved front and a recessed cutout in the center for a vacuum fluorescent display. There are no controls on the front panel of the U1. The enclosure measures 350mm (13.7 inches) W X 345mm (3.16 inches) D X 60mm (2.37 inches) H, and weighs in a hefty 8 Kg (17.64 pounds). The rear panel of the Lumin is rather inexplicably recessed a good 2 inches (55mm) making it unnecessarily difficult to get to when installing the U1 into one's system. Aside from that the unit is very well laid out in back. Starting from the left, we have a small reset button, then for the input to the unit, an RJ45 jack for CAT 5 or CAT 6 Ethernet cable, then a gold-plated “earth” (ground) post. The ouputs, ostensibly to a DAC, consist of two Type “A” USB connectors, a Toslink SPDIF, a gold-played RCA coaxial SPDIF, and a BNC coaxial SPDIF. These are followed by a Cannon/XLR AES/EBU output. Finally there is a circular 7-pin connector for the DC umbilical cable from the PSU. Since the Lumin U1 is a music transport, it naturally must conform to and support the major protocols available to today's “digital audiophiles.” These include the UPnP A/V protocol with the streaming extension. The unit is Roon Ready and supports TIDAL, can connect directly to Spotify, supports Apple AirPlay, gapless playback as well as the on-device playlist. The U1 has full support for MQA from TIDAL, Qobuz, and Tune-in Radio. On the separately downloaded (but free) smart application, the unit supports both TIDAL and Qobuz icons to indicate high-resolution programming. It also allows for the control of volume in the digital domain, sports a sophisticated search function, allows for high-resolution artwork from one's sources and artwork caching. The application will handle multiple file tags and allows multiple tags and composer tags. The app also enables albums to be grouped together in response to several grouping options in the playlist and provides automatic internet links to either artists, albums or individual works/songs. Playlists can be saved and restored in case of an accidental deletion. I cannot emphasize too strongly that the app, which is available for both iOS and Android devices and downloaded from Lumin's website is de rigueur rather than optional as it is on many such devices. It would be impossible to operate this device without it. Connecting the Lumin U1 to one's system couldn't be more straightforward. I connected a 50 ft CAT6 cable to my wireless router next to my main computer. The other end, I plugged into the RJ45 connector on the back of the U1. I then connected the umbilical cable from the PSU to the back of the Lumin, and connected a 0.5 meter XLR cable from the AES/EBU output connector on the rear of the U1 to the AES/EBU input on the Schiit Yggdrasil DAC. I then downloaded and installed the Application on my Android tablet (the app will run on most Android devices and any Apple iPad or iPhone manufactured since 2014). The app allows the operator to drag files around to re-order them and to edit individual tracks or even entire albums. One's personal library can be arranged by track title, album title, artist, composer, genre, date added to library, etc. The app contains a search function that allows the library to be searched in two ways: a simple “find” function or using a set of filtering criteria. It also enables the user to search both TIDAL and Qobuz catalogs directly. There are many more features of this remarkable interface, too many to list here. But one will quickly find them by merely poking around. OK, I'm firmly in the “bits-is-bits” camp when it comes to talking sound quality from what is essentially a purely digital signal. And I would have said that the Lumin U1 would have the same sound as a NAD or a Pioneer or any other music server “client.” After all, the only thing that comes out of the device is “bits!” Well, I was wrong. I have two other devices in my system that do (to a certain extent) what the Lumin U1 does. I have an Oppo 205 and a Logitech Squeezebox Touch. Both feed the Yggdrasil DAC so the only difference should be the source component. If bits were indeed bits then the same program material would yield the same sound from each source. It ain't so! Compared to the digital output of the Oppo or the Logitech device, the U1 was, well, just better! 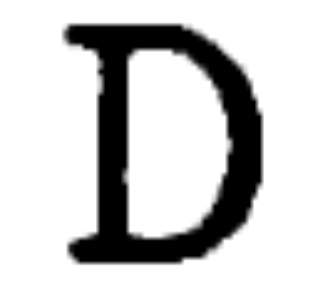 First of all, the top octaves were cleaner and more delineated. The 24/96 PlayClassics files of Albeniz' Iberia played by Luis Grane and Angel Cabrera playing Debussy are exemplary performances of solo piano. The recordings are both first rate and with a decent system the sound is almost as if the pianos are in the room with the listener. When streamed from my Mac Mini where the files are stored, they can be played through the Logitech, the Oppo or the Lumin. While excellent through any of these devices, the Lumin seem to delineate the transients better than the other two and the pianos seem to have more “space” around them. To make sure the digital interface wasn't making differences where none actually exist, I re-connected all three devices via coaxial SPDIF to the DAC. The noted differences as well as the sonic superiority of the U1 was still there. Another further improvement over the other digital server clients that I noticed was that while the other two units threw an image that started at the speaker plane and went back beyond the wall, there was nothing forward of the speaker plane. The Lumin U1 somehow brought the entire presentation forward as well as back, giving a three dimensional quality to the imaging that simply was absent from the others. I do not know to what to attribute this, but a friend of mine noticed the same phenomenon and mentioned it before I had said anything. It's there alright. The Lumin U1 is a beautifully made superbly engineered “music transport.” It supports basically all formats and streaming service in use today. While it supports MQA on TIDAL, I don't have access to that service and therefore wasn't able to test that function, but none-the-less, the sound the U1 elicits from these ones-and-zeros is definitely a cut above many other similar devices. The Lumin application is the best of its type that I have encountered. 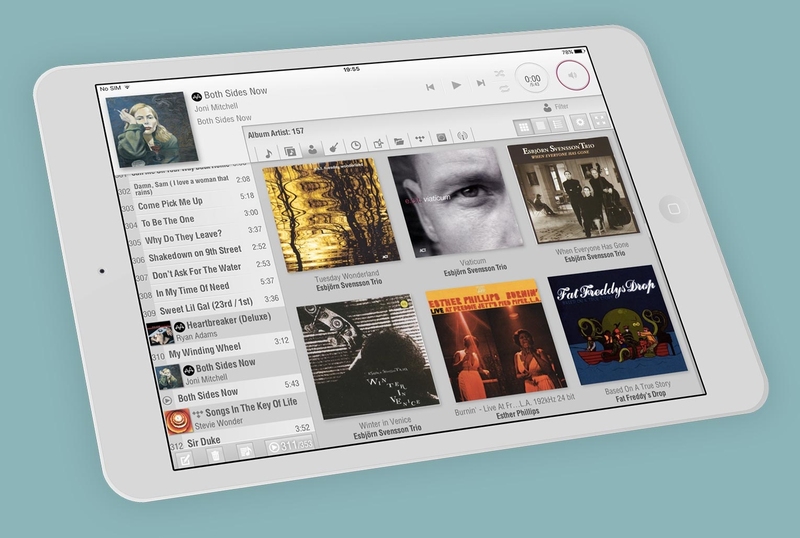 With it loaded on a tablet or a smartphone, the world of streaming music is a real joy. It works so well and is so intuitive that once you use it, you'll wonder how you ever got by without it. I was sorry to delete it from my Android tablet but the Lumin had to go back. My only real complaint is the machine case top's extreme overhang in the rear. It makes it very difficult, once the unit is installed in a system to access the rear connections. If I owned one I'd be very tempted to take a band-saw to the machined CNC case top and I encourage Lumin to re-think that particular design decision. The Lumin U1 is not cheap at close to US$6000, but it is definitely a very high performance unit. 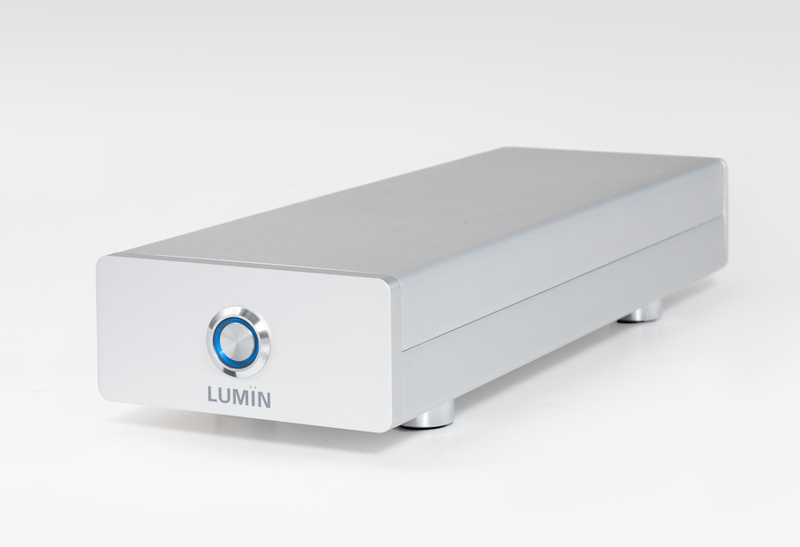 Luckily, Lumin sells a smaller unit with less expensive casework, a built-in power supply and with LPCM support to only 384 KHz instead of 768. Capabilities, otherwise seem similar and its only US$2000. > OK, I'm firmly in the “bits-is-bits” camp when it comes to talking sound quality from what is essentially a purely digital signal. So, have you abandoned the "bits-is-bits" camp, or you're still in it, but not as firmly? Personally, I don't see how anyone can still hold that view, but it is not uncommon around here. Nice write up! I especially appreciate a bits is bits guy acknowledging that it is not always the case, and also like seeing China come in with an audiophile-level component. Cheers! Firstly thanks for your review. I think software navigation of playlists is a big boon once one acclimates to it. It seems odd this unit serving up bits could be responsible for the difference in sound you describe. And that the differences would remain the same when you change how the devices are connected to the DAC. 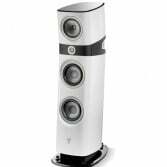 Maybe a topic for elsewhere, but when I primarily judged sound quality using subjective listening impressions, the strength of the differences heard seemed greater when I auditioned something new with other audiophile friends present We seem to hear the same differences. My level of certainty was much greater after such session. I think it is something of the Clever Hans effect we have on each other. In time errors began to make me question this methodology. One I remember is getting a rather expensive for the time digital cable. Inviting a few friends over. We listen to the old one and then the new one. Finding agreement the new one was a considerable benefit and largely agreeing on what those benefits were. After a half hour we wanted to hear the old one again. At which point we discovered that while the new one was plugged in we didn't ever switch to it (old one was coax, and new one AES). We had been listening to the same old one the whole time. By then two of the people present were already discussing ordering the new cable up because it was such an obvious improvement. One was wondering if AES was simply better more so than the cable in use. To then only find ourselves with a bit of egg on our collective faces. I am surprised that we are still using 'bits is bits' logic to defend insignificance of digital source. Extracting bits from your 'digital storage' in a audio world requires a highly precision clock that is dependent on a solid power supply. The entire process from storage to digital conversion is highly dependent on precision clock in various steps. That is the reason sound quality differs from different digital transports. We are in year 2019 and bits is bits is archaic logic and audiophile style reviewers should not be surprised anymore by transports playing a key role in SQ. Bits is Bits is a marketing ploy and should be removed from audio vocabulary. Well if the SPDIF is used the clock has to be recovered. How that is effected by the Lumin will depend somewhat upon the device doing the recovery at the DAC end. If USB output is used, the clock of the Lumin isn't used. So no bits are bits logic isn't archaic. If there is a different sound via USB output, and that difference is the same over SPDIF, it becomes something odd that doesn't make very good sense in a straightforward manner. Thank you for the clear and straightforward review. "Bits are bits" is for simpltons devoid of basic understanding how digital media is rendered into sound. The bits are one part of the signal; the other is timing. When the latter is off--due to jitter or electrical pollution--the sound is off. In fact, when reviewers describe the SQ of various transports, they actually describe the effect of jitter, or lack theteof. There's nothing more to it. The sonic difference among AES/SPDIF/USB is very simple to explain. USB doesn't carry any clock information, so it's up to the DAC to implement the timing. That sets it apart from AES/SPDIF, which have the clock information embedd. Being balanced, AES isn't susceptible the EMI, whereas SPDIF will pick them up. The longer the cable, the more so. Furthermore, different implementations of the digital output/input stages (transmiter/receiver) will contribute to sonic differences. Upgrading the power supply of the U1 Mini to LPS will boost the performance close to the U1 level. sBooster and Plixir sell such kits, and they'll set you back $500 to a $900--overall, much more economical than U1. In essence, those kits reduce electrical pollution and thus jitter. The U1 direct competitor is ARIES G2, which has lower jitter and better construction, including dual LPS driving separate circuitry boards, galvenic Isolation, suspension footspikes and a uni-chasis. All that for 2/3 the price. If one can live with only iOS support, the G2 is the wiser option. Because even though it doesn't play discs, like a transport it plays digital files and provides a digital output to a DAC's input. The two mini Lumin variants have a single output SMPS to drive the whole system. Yes, you can buy a linear supply to fit out, provided the regulation is such that over voltages do not occur. Warranty is then a tricky issue. All other models have separate power supplies in their own enclosure and have dual linear voltages from two transformers for analog and digital circuits. b) Several users reported bugs with the on screen display artwork or other details relating to the screen on the Auralic support forum. The conversations went on for too long I thought and a fix was underway, but needed more time. I would have expected software issues like this to be well put to bed with limits (?) placed on metadata for example. The bugs were on production machine released 10 months after they were officially released for sale. - A quick scan of the support forums of both camps will reveal which site has less user problems, the site a AS (CA) is example. c) There's different methods for galvanic isolation, some work, some don't. d) The U1 is also a single block aluminium body, with footers, so don't see advantage in construction, since both are similar. As for pricing, there's room to negotiate in a civil manner directly with the suppliers, the sticker price isn't the final outcome. @Sonis, the reason I thought for the overhang for the rear connectors is protection from the atmosphere. Unless audio components are in air conditioned environment 24/7, dust, moisture and corrosive air (even lived close to the beach?) can settle on connectors and cause corrosion. Witness a 15 year old AVR, the RCA connectors are not the same material any more. Having a cover, slows this process. Once a method is settled on the output of the U1, it stays in place unchanged for, well, years. The U1 can be turned upside down to access the connectors better, there are usually only three cables, Ethernet, power and the output. For the review in general, it would have helped a little more if the music to evaluate was listed and any differences heard between what was existing and with the DUT, where it stood out or worse. USB, ifi Micro USB, Mutec MC-3+USB, RME HDSPe AIO, USB extenders, plain USB cables, Curious USB cables, Nordost USB Cables, Mutec MC-1.2- AES3, Intona, ifi Galvanic 3.0, the list is extensive, all blown away by the Lumin U1. Interesting what you noted about the imaging popping out more in front of the speakers when called for. I notice the same thing with the T+A DAC 8 DSD when ran in 512 DSD mode. The soundstage expands in every direction, including forward, with its single bit DSD converter vs. it's traditional PCM Dac. Is this because it's pulling more detailed and accurate phase information out of the recording? Or is it just some sort of distortion? I have no clue and limited knowledge on the matter, but I do know that i quite enjoy it. As far as I know, Lumin is a product of Pixel Magic which is a 100% Hong Kong company based in Hong Kong's Science Park. Which is a high technology incubation hub. Their bread and butter products are set top boxes for terrestrial digital TV which I consider to be the best out there. Hong Kong is part of China, but the business practice cannot be more different. I thought I would like to clarify that because there are a plethora of electronics coming out of China, but only a handful of hardware companies from Hong Kong, and Pixel Magic is one that I personally am rather fond of. The use of Lumin app is not mandatory for playback control - it is only required for setting change and firmware upgrade. Lumin is OpenHome, UPnP compliant and Roon Ready, so you may use Linn Kazoo, Bubble DS Next, Aurdirvana, JRiver, etc. or Roon for playback control. It is even possible to use Audirvana or Roon to upsample music to DSD512 to be played by Lumin X1, T2 or U1 (with a Linux native DSD512 compatible USB DAC) via network. We call our Ethernet-connected DAC with analog outputs "network music players". We call our Ethernet-connected streamer with digital outputs only "network music transport". To me a transport means "digital output only". Yes, this topic has intrigued me as to how to determine what causes a great image, but I do know what can stuff things up. Logically, if the timing between channels is 'just there', the image from the speakers will be very good, let's say what the engineer worked out for the recording. From there, its all downhill. When auditioning USB cables of different varieties, the image tended to tank and be mono-ish, with no sparkle. When using a plain USB cable, there was hardness in the sound as well. Some gadgets or cabling improved matters, so the inference is, that the transmission from the source to the DAC contains artefacts that ruin the sound stage. DSD512 may have such a sample rate that it could mask the noise, or modulate the noise, so it's not audible? I've tried various sampling rates to DSD256 and was not really enamoured with the results, but each to their own taste. The U1 at home plays straight to coax up to 192, then conversions from DSD are completed by Roon in multiples of 48/44.1. That signal is so pure, it's 97% of what the SACD player can reproduce, including imaging. Depending on the recording, the SACD player can position instruments forward, bottom right or left, the U1 comes close but not quite there. If AES3 is chosen, might get there, but the DAC accepts coax digital only. But for now, if you have a DAC you're very happy with, then the simplest transmission is over Ethernet to digital, which the Lumin U1 does very, very well indeed. Less bits in the chain, the less chance of crud entering the chain. I personally believe clock jitter can affect imaging. Yes, many LUMIN owners use a variety of apps such as BubbleUPnP to control LUMIN. 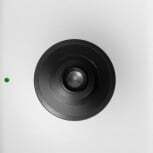 LUMIN is fully Openhome compliant. Of course, many owners of other hardware also use the LUMIN App too. For the actual LUMIN Settings (things like logins for subscription services, upsampling settings, display brightness, etc) you will have to use the LUMIN App for either iOS or Android, but not necessarily for playback. I use another brand of App to occasionally control LUMIN from my PC for example. It would be cool to have a comparison review of the different streamers. I would love to read how my dCS Network Bridge compares with other streamers. A blind listening would be quite interesting. Candidates could include low end players like the Squeezebox Touch, Chromecast Audio and may be direct from a Mac Mini. And of course between same class players like the dCS, Linn, Naim, sonictransporter, etc. Thank you for commenting. Allow me to relate. Warranty is then a tricky issue. Those changes are easily reversible and cheap to do, especially if you're handy with the soldering iron. All other models have separate power supplies in their own enclosure and have dual linear voltages from two transformers for analog and digital circuits. I haven't seen any reference that each external PSU powers a different board. But learn and live. The G2 iLink isn't a channel to input anything into the ARIES G2. It only facilities streaming from it into the VEGA G2. (The latter's streaming capabilities are more limited). So as a stand-alone streamer, your point is actually moot. I believe AURALIC has outsold Lumin by a fat margin, given the relatively affordable prices, so you'd find more users with issues in general. As a rule, every vendor in the field has occasional software/hardware issues, so customers always take a chance when they take the plunge. But if Lumin is truly more robust than AURALIC, then more power to them and to you. And I write that with sincerity. There's different methods for galvanic isolation, some work, some don't. What's your point? That AURALIC galvanic isolation is questionable? You need to substantiate that assertion, or be accused at merely floating vague innuendoes. The U1 is also a single block aluminium body, with footers, so don't see advantage in construction, since both are similar. Lumin hasn't made any claims its chassis blocks EMI. Maybe it does, then I'll be stand corrected again. The G2 has suspension footspikes that dampens a certain range of frequencies so the oscillators aren't disturbed. I didn't see such feet on the Lumin.